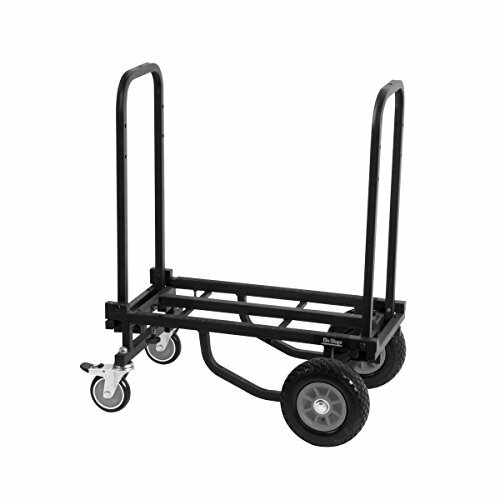 The UTC2200 Utility Cart is practically a necessity for musicians on the move. Weighing a mere 28.7 pounds, it holds up to 485 pounds of equipment and is easily adjustable to whatever size gear you’re hauling. The 4” front casters turn with smooth precision in any direction and can be locked when standing still. Its 8” rear wheels are built to handle punishment - they both resist wear and have a unique texture that keeps you moving. Holds up to 485 lbs. Compact size: (w)18" x (l)28-1/2"
Gator Cases GU-2011-07-WPDF Titan Series Waterproof Utility/Equipment with Diced Foam Insert 20.5" x 11.3" x 7.5"